The Maui County Council’s Land Use Committee will consider a development application for the proposed Waikapu Development Venture Affordable Workforce Housing Project on Wednesday at 1:30 p.m. The project proposes to add 68 single-family and 12 duplex units to the much-needed affordable housing stock. One hundred percent of the proposed project, located on Waiale Road in Wailuku, would be offered at affordable prices to qualified households earning between 70 and 140 percent of the Maui median income. The goal of the project, according to the proposal, is to provide quality, dependable, affordable housing for local families in a community with a unique sense of place. A lack of affordable housing is among the most pressing issues affecting our community. In fact, according to the 2016 Hawaii Housing Planning Study, 13,949 new housing units will be needed in Maui County by 2025 to accommodate expected population growth. Over 90 percent of these homes are needed for households earning less than $113,960. The project proposes to enhance the feeling of community with several greenways and a park in the middle of 12.5 acres, which can be used for community gatherings, recreation and exercise. A variety of styles of homes would be constructed. As an affordable housing project governed by Chapter 201H, Hawaii Revised Statutes, the project seeks exemptions relating to planning, zoning and permit costs. State law requires the project to be approved or disapproved by the council within 45 days. 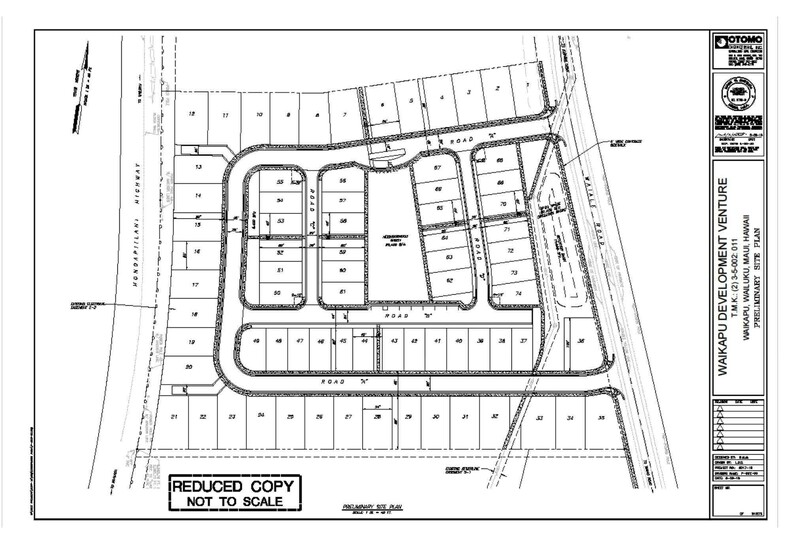 The Land Use Committee received the development application last Wednesday, starting the 45-day countdown. The council will have until Sept. 8 to act on the proposal. If the council moves the project forward, the developer will go back to the State Land Use Commission seeking permission to subdivide the 25-acre parcel on which the project is located and proceed with development. If the parcel can be subdivided, the affordable workforce housing project will be next door to the proposed site for a new Emmanuel Lutheran Church and a new school campus. I look forward to the committee’s discussion on the project. I also look forward to continued discussions about the county’s housing inventory and the pressing need for affordable housing and specifically rental units. According to the proposal, Maui County will need as many as 1,670 units per year to address the housing needs of the community over the next 10 years. One-third will be needed for individuals making less than 141 percent of the area median income. I encourage developers to take initiative to create affordable units and work with the county to do so. County, state and federal funds are available to incentivize developers to create affordable housing. 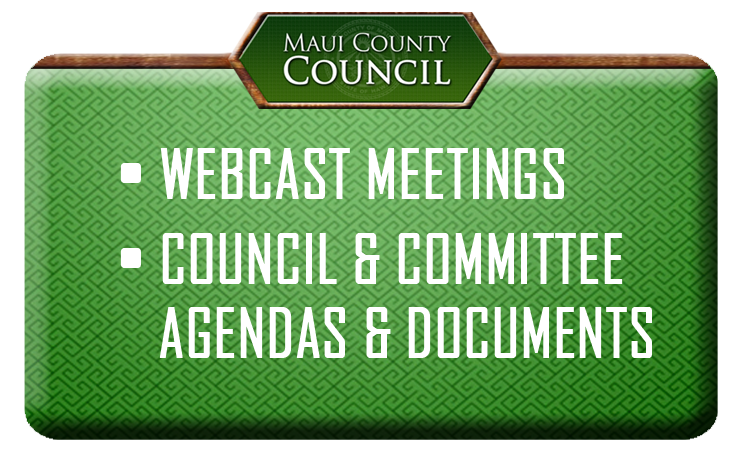 Email testimony relating to the proposed project to lu.committee@mauicounty.us, referencing LU-2(4).